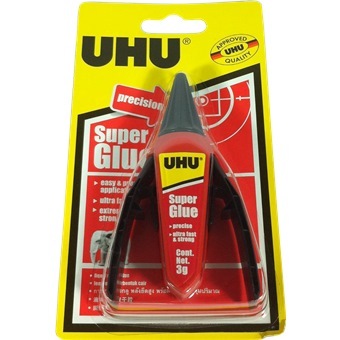 Uhu Super Glue Precision 3g . 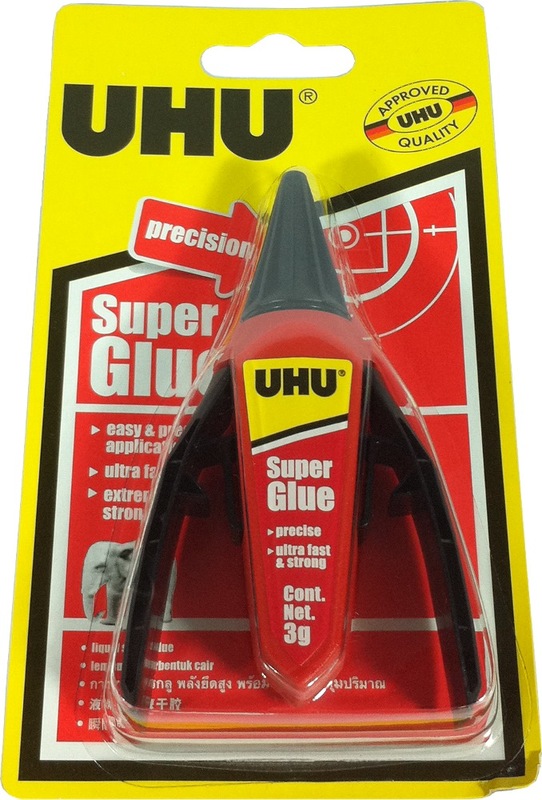 Ultra fast , Extremely strong , Easy and precise application. Shock-resistant container with easy and precise tip system. 1) Ensure surfaces fit exactly together. 2) Surfaces must be dry and free of grease/dust. 3) Apply a thin layer to one surface. 4) Press part togather immediately. 1) Clean nozzle with a dry tissue. 2) Store in a cool , dry place.